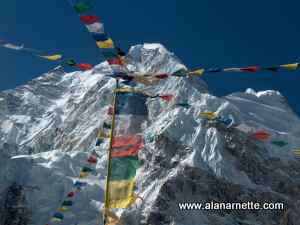 When I wrote this article in 2006, I had climbed Everest twice - in 2002 and again in 2003. I made it to about 27,000 feet (8200 meters) both years before health, weather or my own judgment caused me to turn back. After recently returning from an attempt on Broad Peak where a climber died after reaching the summit, I am thinking a lot about deaths in the sport I love. I am seeing article after article in the popular magazines and even on some news shows about the deaths on Everest this spring. For what it is worth, here are my thoughts. This has been a deadly year on both sides of Everest. Perhaps the most deaths since the infamous 1996 spring season. So what was going on this year that made it so sad for 12 climbers? First a summary. Early in the season, a HimEx Sherpa, Tuk Bahadur, died of HAPE on the north side after fixing rope up high. 3 Sherpas, Ang Phinjo Sherpa, Lhakkpa Tseri Sherpa and Dawa Temba Sherpa, died in the Khumbu Icefall when ice collapsed around them. Tomas Olsson died from a fall on the north died after a rappel anchor tore loose. Vitor Negrete died after his north summit. He had summited without using supplemental oxygen. David Sharp died on the north side during his summit bid. Jacques-Hughes Letrange died on his descent after a north summit. Igor Plyushkin died also on the descent on the north. 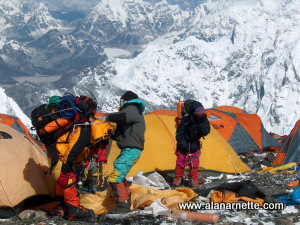 While not on Everest, Pavel Kalny died near the Yellow Band while attempting Lhotse. Details are sketchy. It seems that each tragedy is unique. Sometimes it is the weather or altitude issues and sometimes a fall. Rare, but sometimes there is equipment failure. Sadly, like with pilots in most airplane accidents, sometime the climber is at fault. 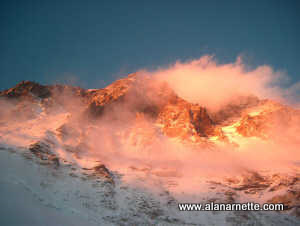 High altitude mountaineering is not only a physical sport but also a mental one and judgment is the most critical item. The most common mistakes have to do with climbers not recognizing what is happening to their bodies as a result of the altitude. Study after study have measured that cognitive skills become impaired, reasoning suffers and sometimes climbers make bad decisions: Not abiding by their turn-around time or pushing too hard, too fast to reach the summit. Not taking care of their bodies and staying hydrated. There are many reasons. With all the crowds you hear about, why don't other climbers help those in need? In an interview, 2006 climbers note "...Wayne Alexander, of Christchurch, told The Telegraph newspaper in Britain: "We came across a chap sheltering under a rock, who was perhaps hours from death. That was probably only 21/2 hours into the climb. ... Told that it had been suggested that Inglis' party should have stopped their ascent and rescued the man, Inglis replied: "Absolutely, that's a very fair comment. Trouble is, at 8500 metres it's extremely difficult to keep yourself alive - let alone keep anyone else alive." That said, other climbers have famously given up their summits to help climbers in need. Yes, there were over 200 summits on both sides but 12 people are dead - 8 on the north - not a successful season in my mind. As the details are revealed Everest was an embarrassment this year to mountaineering and reduced the expeditions on the north to selfish amateurs. Harsh? Unfair? Judgmental? You be the judge. The media has focused on Sharp's death and the "40 climbers passing by without providing aid". Actually that is not true. Sherpas tried to give Sharp oxygen but all he wanted do was "sleep" - a sure sign that death was near - especially at 8000m. Sadly I have helped bury climbers above 7000m and often there was nothing anyone could have done to save the person. But our world likes to point fingers and find the villains. I have been thinking a lot about the deaths, especially the huge difference between the north and south sides. Please let me think out loud for a moment. First - safety net: The south side has a long history of major commercial operators who use the same Sherpas, camps and routes year after year. Yes, this is similar on the north but at one time the operators on the south established an informal network committed to helping one another in an emergency - no questions asked. 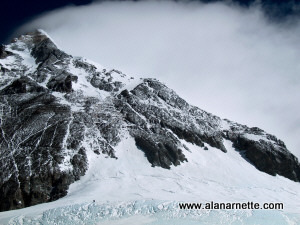 The network was demonstrated this year with the rescue of injured Sherpas and climbers in the icefall. This network includes IMG, AAI, Adventure Consultants and others. The south also has a group medical clinic that provides assistance to anyone. I am actually very disappointed about this year and for the sport I love. I am disappointed that the largest mountaineering web sites just repost dispatches and rarely comment or offer solutions on what is happening. I am disappointed that the large commercial operators continue to post rosy statements about their team’s success and ignore the cancer in their industry. I am disappointed that climbers continue to put their lives at risk based on the lowest cost operators. I am disappointed that climbers die when it could have been prevented. Until then, what can be done to prevent these deaths? It is critical that all climbers on these high mountains understand the risks they are taking and not depend on the support from other team members, Sherpas, sat phones or helicopters. However for the climbers, never climb alone and climb in the company of someone stronger than you such as a Sherpa or more experienced climber. Check on one another often and honestly. Stay aware of yourself and what is happening to you - especially at altitude. Take care of yourself by drinking, eating and resting properly. Get the best weather forecast you can, check it often and study the history of the mountain. Know the trends and what might be unusual. Don't take chances like leaving too late for the summit or ignoring your turn-around time. Rope up in crevasse areas, speed through dangerous areas of tumbled ice. Listen to your inner voice and those with more experience. But even with all these precautions, climbing is dangerous. Climbing deaths are always sad and devastating to the families. In some ways the sport has become accustomed to them. Some of the most famous names in the sport are of the ones who died doing what they love: Hall, Fischer, Boukreev, Lowe, Lafaille. Some of these died trying to save others. Some worked to promote safety for their sport. Some were just climbers. The sport often takes the best in spite of all their strength and experience. That is the contract every climber signs with the mountain. It is the deal they make with their families. And it is part of the adventure of mountaineering. But changes can and must be made. Until then it will remain "climber beware".